Rejoice in Exclusive Complimentary Perks that are combinable with a 3rd Night Free when booking your travel to Four Seasons Hotel Toronto across WhataHotel!. Towering 55 stories above this stunning city in the heart of Yorkville sits this spectacular Four Seasons Resort. Travel to the international city of Toronto, stay in the heart of amazing shopping and restaurant quarter, and explore the sights and sounds of downtown. Explore this vibrant city and plan your stay at the glamorous Four Seasons Hotel Toronto, where warm sophistication is beautifully blended with contemporary style. Here 259 guestrooms and 42 luxury suites await your arrival. Each space offers impressive city views, stunning interior decor and high-end amenities. 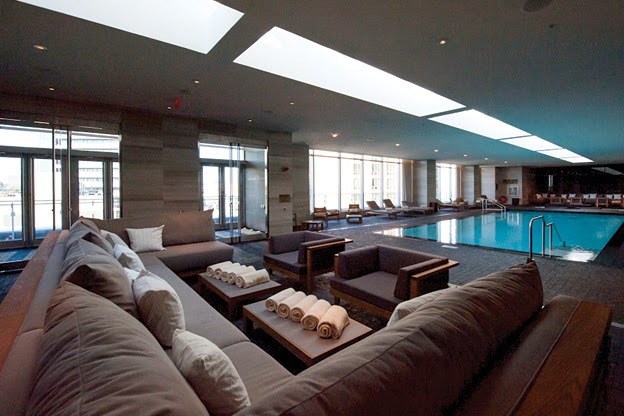 Discover relaxation at the hotel's two-story spa, the largest urban spa in Toronto not to mention the largest spa of any Four Season Resort Worldwide. The simple and serene space is a lovely retreat that features loads of relaxation opportunities, a hair and nail bar, and signature treatment products. Guests can also enjoy the indoor relaxation pool and whirlpool that is located on the ninth floor and overlooks the city or head to the fitness center for a chance to let off some steam. 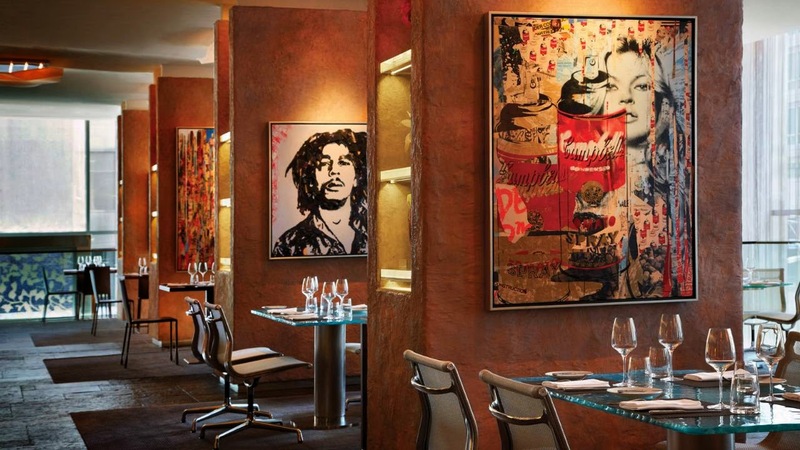 Exquisite dining options are available for when hunger strikes, Cafe Boulud offers up a contemporary menu in a casual atmosphere and dbar is the street level lounge for a cocktail or a lovely light meal. 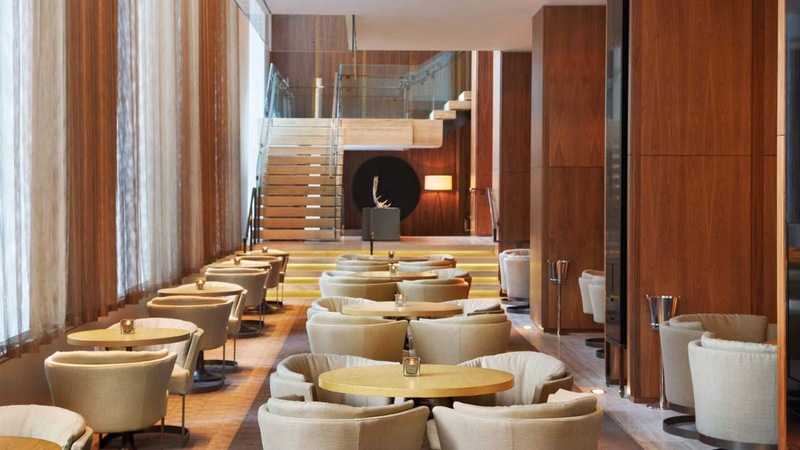 If planning an event or business meeting in Toronto, Four Seasons Hotel Toronto can assist you with not only a dedicated building for functions but also 17 event spaces. This exclusive hotel is the perfect place for both an intimate meeting and a large gala. If travel to Toronto is on your radar, plan to stay at a hotel that is overflowing with epic design features and memorable service. 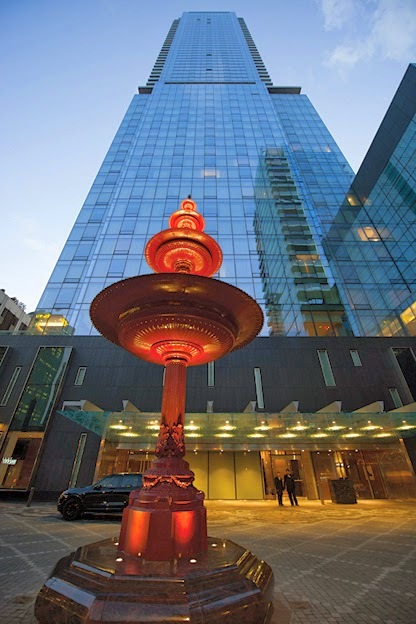 When booking your travel to Four Seasons Hotel Toronto across WhataHotel!, visitors are able to enjoy Exclusive Complimentary Perks alongside a 3rd Night Free for an awe-inspiring deal. These phenomenal perks include an available upgrade at time of check-in, a full breakfast for two daily, a $100 USD Credit for food and beverage and high-speed internet access. There is also the spectacular Special Offer of a 3rd Night Free when booking two nights and a unique weekend special as well, a $100 room credit available for Friday and Saturday arrivals. Uncover the beauty and intrigue of this picturesque city and allow the remarkable Four Seasons Hotel Toronto to pamper and spoil you during your stay.